The Supreme Court has ruled by a 6-3 majority that the Human Rights Act does not apply on the battlefield and soldiers are not automatically entitled to inquests arising from deaths in foreign conflicts. 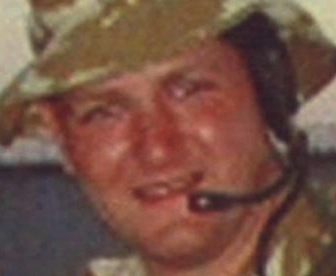 The case related to Private Jason Smith, a member of the Territorial Army who died from heatstroke in Iraq in 2003. The decision has come as a relief to the Ministry of Defence. In recent years, coroners have been highly critical of the armed forces’ protection of soldiers on the battlefield, and this case had the potential to open up the Government to a series of claims for compensation by soldiers and their relatives. However, the Supreme Court has (narrowly) taken the view that the Human Rights Act 1998 was not designed to apply in such cases. The Supreme Court held that it was not necessary in every case of a death of a serviceman abroad to carry out an investigation which examined whether there was fault on the part of the state because (a) the Human Rights Act 1998 did not apply to armed forces on fo reign soil and (b) in any event, there was no such automatic right. The type of investigation would depend on the circumstances of the case. Private Jason Smith, a member of the Territorial Army, was posted to Iraq in June 2003 at age 32. He had spent eight days in Kuwait to acclimatise but the room he was then given in Iraq did not have air conditioning. In August 2003 temperatures in the shade reached in excess of 50 degrees C, which was the maximum that available thermometers could measure. He reported sick and complained that he could not stand the heat. Some days later he suffered a cardiac arrest and died. The Court of Appeal ruled last year that the Human Rights Act 1998 applied to soldiers in the battlefield, and that as such the Article 2 duty to investigate deaths caused by negligence arose (see our recent post on Bloody Sunday for more on this duty). The inquest into his death therefore had to be Article 2 compliant. The Supreme Court ultimately reversed the decision of the Court of Appeal by a narrow 6-3 majority. The narrow margin of victory suggests that whilst the issue of battlefield rights has been resolved for now, it may be only a matter of time before a similar issue is brought to the court’s attention. The following summary is taken from the official summary produced by the Supreme Court. There were two main issues before the court. On the jurisdiction issue, Lord Phillips stated that the European Court of Human Rights in Strasbourg had held that ‘jurisdiction’ within the meaning of article 1 was essentially territorial but extended in exceptional circumstances requiring special justification to other bases of jurisdiction. The difficulty lay in defining those exceptions [para 11]. It was unlikely that the Contracting States, when they agreed the ECHR in 1951 in the aftermath of a global conflict in which millions of troops had been deployed, regarded it as desirable or practicable to extend the protection of article 2 to troop operations abroad [para 58]. On the inquest issue, Lord Phillips stated that where there was reason to suspect a substantive breach by the state of the article 2 right to life, it was established that the state of its own motion should carry out an investigation into the death which had certain features: a sufficient element of public scrutiny, conducted by an independent tribunal, involving the relatives of the deceased and which was prompt and effective [para 64]. There was no automatic right to such an investigation whenever a member of the armed forces died on active service [para 84]. The UK had a staged system of investigation into deaths. Some form of internal investigation would always be held into military deaths in service [para 85] and a public inquest was required whenever a body was brought back to this country. This would satisfy many of the procedural requirements of article 2. If, in the course of the inquest, it became apparent that there might have been a breach by the state of its positive article 2 obligations, this should, insofar as possible, be investigated and the result reflected in the coroner’s verdict, so as to satisfy the procedural requirements of article 2. In Private Smith’s case, the courts below were correct to hold that the coroner should have found a possibility that there had been a failure of the system to protect soldiers in extreme temperatures. It followed that the new inquest should comply with the procedural requirements of article 2 [paras 87 and 88].